Last week we had a stand at PV Designs, part of Premiere Vision in Paris, exhibiting student designs alongside established design studios. We took a selection of second and third year work across the four pathways. 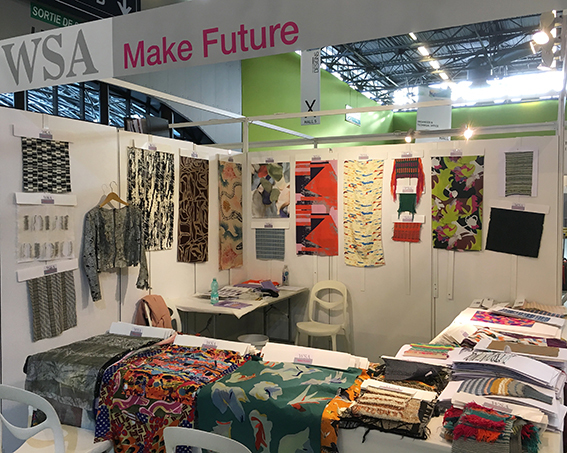 PREMIERE VISION is a textiles trade fair held twice yearly in September and in February and attracts around 60,000 visitors. The majority of these visitors are buyers from fashion companies looking for new fabrics and designs for their forthcoming collections. There are many trend areas which show the newest fabrics and colour suggestions for the next season. The show is a very inspiring place to visit in terms of design & colour as well as offering opportunities for networking and gathering information about the industry. PREMIERE VISION DESIGNS is a huge section of the fair where around 150 design studios from many different countries show their new collections of designs for print, weave, knit and embroidery. Buyers from thousands of companies looking for original designs visit PV Designs each season to buy artwork from the design studios exhibiting there. Over the 3 days the WSA Make Future stand attracted much attention from buyers around the world. A number of students sold their designs to international fashion brands and there were many comments about the inspiring and original work on display. The students that helped on the stand were able to gain an exciting insight into the industry, talking directly to clients and understanding what companies were looking for. Congratulations to all the students whose work was selected to be exhibited and those that sold work as well. It was a great industry experience we hope to repeat next year. 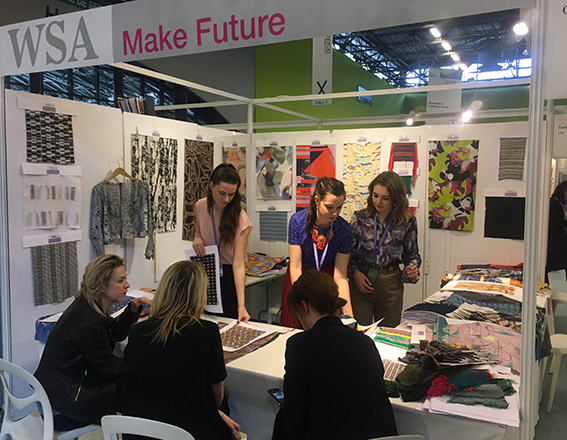 Becki Glanvill, currently in her second year of Woven Textile Design, chose the WSA exchange module this semester and has been studying in Paris. Becki is at Ensci – Les Ateliers http://www.ensci.com/ working on a live project for EquipHotel, a french hotel chain. 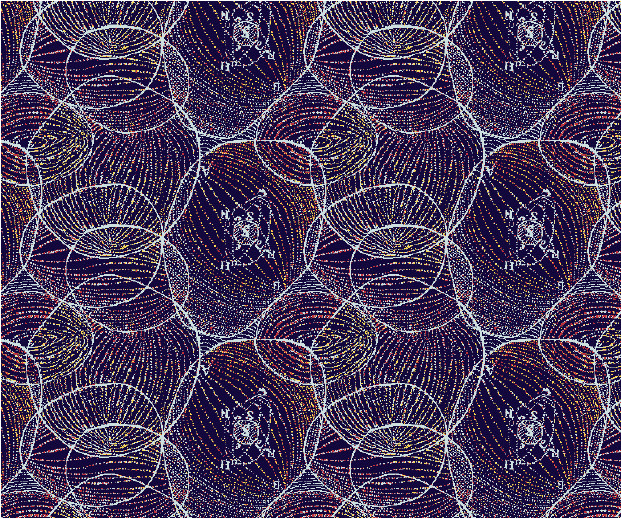 Her theme is « Les Hommes illustres » and she has chosen René Descartes. She is enjoying her time in Paris and below is an image of the kind of work she has been producing.